Having spent many years in kitchens in the Czech republic and in Slovakia I decided that I wanted to cook in my own kitchen and take care of guests myself and have a restauraunt which guests would come to love and happily return to. I learnt a lot during my international stays in other European countries, particularly in Scandenavia, and I continually strive to learn more. 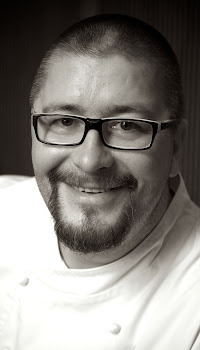 I am particularly fond of reading books by Thomas Keller, Gordon Ramsey and Melker Andersson as well as Mathias Dalhgren. I had the privelidge of cooking with Melker and Mathias at their Bon Lloca and Fredsgatan 12 restaurants respectively. Please accept my warm invitation to ALBRECHT - a restaurant which is rife with a great atmosphere, I truly believe you will find your favourite meal here.